Tucker played in his "Flintstones car" for quite a while. 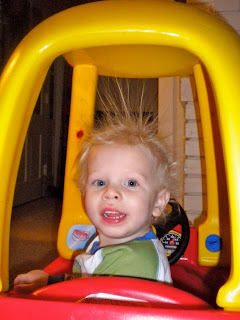 As a result his hair stood straight up due to all the static. Even when I tried to brush it down, it would not go. I had to take some pictures because it looked so funny!